Discover True Resolve Tax Professionals for your business and personal tax needs. Not all tax relief agencies are created equal. True Resolve Tax Professionals guarantees licensed experts with the know-how and experience necessary to solve your tax problems, combined with a unique personal approach to give you peace of mind. We offer specialized expertise in tax accounting. That’s all we do. Unlike CPAs and attorneys, the True Resolve team specializes in just one thing: taxes. 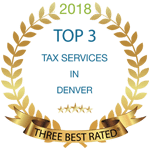 We stay up-to-date on the constantly changing tax environment to ensure your taxes are filed correctly, have effective representation when dealing with back taxes and stay on track for your financial future. We’re experienced negotiators, licensed to work with the IRS directly to resolve your tax issues. Member of the True Resolve team are IRS Enrolled Agents—an elite group of tax professionals—with decades of experience working with the Internal Revenue Service. 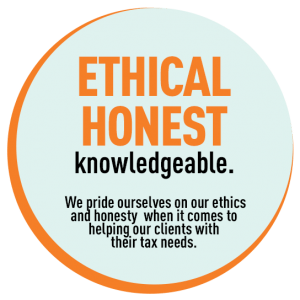 Enrolled Agents are required to maintain a high level of in-depth tax knowledge and bound by the very highest ethical code of conduct. At True Resolve Tax Professionals, our enrolled agents complete more than 100 hours a year in continuing education to be the definitive resource in tax resolution, tax relief and tax readiness. We’re committed to the highest level of ethics and honesty. Having been in the tax resolution industry for nine years prior to starting True Resolve Tax Professionals, Enrolled Agent Amanda Kendall worked for several tax resolution firms. But no matter what company she worked for, big or small, she always felt a gap between her ethics and those exhibited by others in the workplace. Opening True Resolve was a way to bring her moral compass to taxpayers facing tax trouble with federal or state tax authorities. Honesty is important to Amanda—not only honestly in running a business, but also with her clients or potential clients. If Amanda is not able to help someone in the way they are looking for, she tells them from the start. She’ll discuss other options with clients to ensure they understand fully. She does not believe there is ever a reason to mislead someone who is already in a very intimidating and scary situation. Amanda loves to do work she is very passionate about and that work in turn allowing her to help provide for her family. Her family is another reason Amanda feels so strongly about being ethical and honest. She firmly believes that every client should be treated as she would want someone to treat her children if they were in their shoes. All employees of True Resolve Tax share Amanda’s vision of honesty and ethics. In fact, before anyone is asked to join the firm, Amanda personally ensures they understand her vision and will stand beside her in helping clients and behind their word and their work. We’re here to help you resolve your tax issue as quickly and painlessly as we can. It’s never too late to resolve your tax issues, and the expertise and experience from our team at True Resolve Tax Professionals will get you back to your business or life. Whether it’s educating you on your rights, representing you during a tax audit, negotiating back tax liability or helping you prepare for a future tax burden, we will guide you safely, ethically and confidently into a more secure financial position.